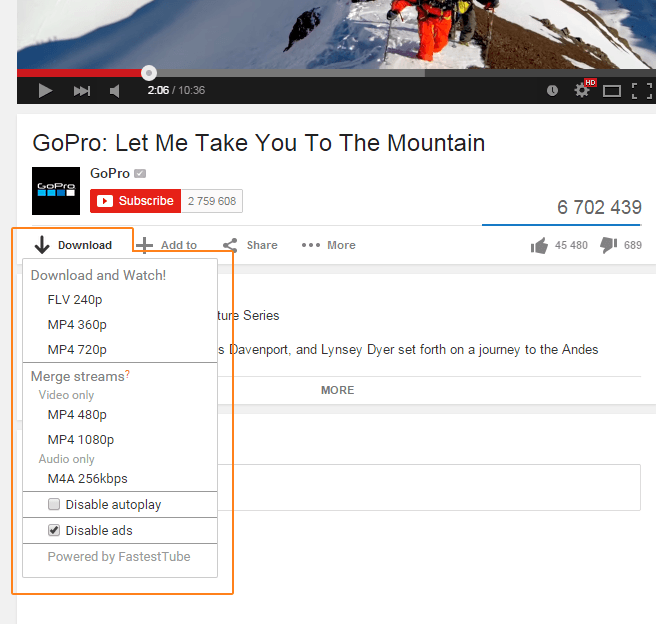 Choose your preferred video format and quality. The download will begin. How to merge video and audio or why I have no sound in downloaded video. OS: Windows, Mac OS (notes about OS X El Capitan) and Linux. Other Chromium-based: Comodo, Torch, etc. Last versions are avaliable now! Full versions history is avaliable here. At the moment, MS Edge doesn't support any add-ons. Please use other browsers. 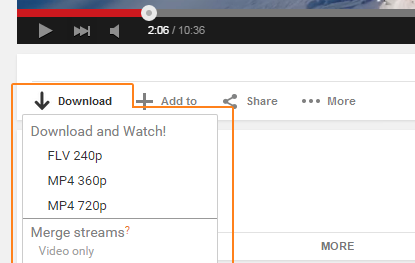 If you want to download FastestTube for another browser click on one of the icons above. FastestTube is installed to empower YouTube! Also We are also giving you Adlesse Lite to enhance your Google and Facebook experience! Adlesse Lite offers an option to see alternative search results from Bing, Wikipedia and and Twitter instead of ads on Google search page. To try it now, go to this page. Adlesse also replaces Facebook Ads with your own Twitter stream. If you wish to disable Adlesse Lite add-on that comes with FastestTube, click on Disable Adlesse Lite now or do it at any moment by clicking "Adlesse Lite is..." on Google search page. FastestTube is installed to empower YouTube! Now you can go to the Youtube and download something.